An artisanal Photoshop Inking brush for a change of pace. 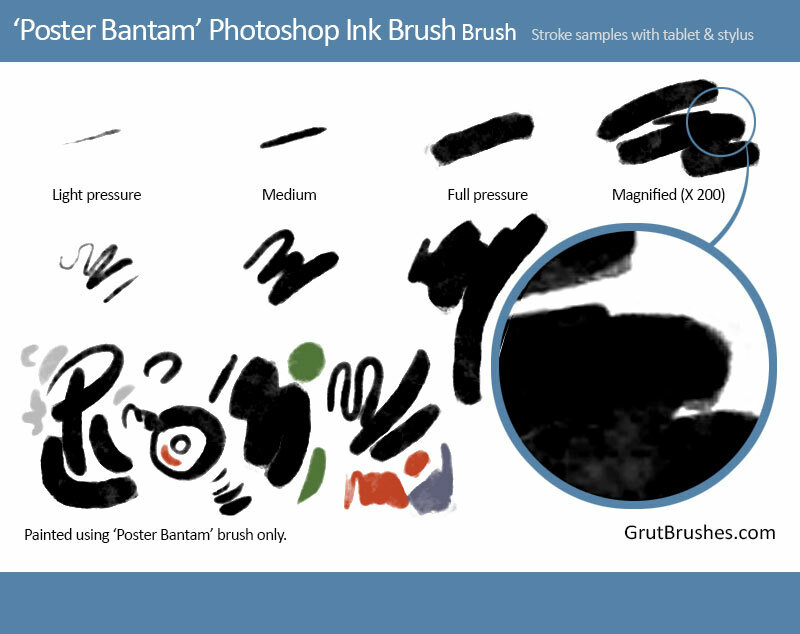 Poster Bantam is a broad and highly versatile Photoshop inking brush that can be used for sketching, painting and broad area fill. It mimics the look of wet water based poster paints on paper or card stock, with a a pretty fluid mostly opaque coverage while bits of the paper occasionally show through ever so slightly. A second swipe of the brush will give full coverage of course. At low pressure the brush is a bit drier, shows as well as some more textured bristles at the edges of the brush strokes. 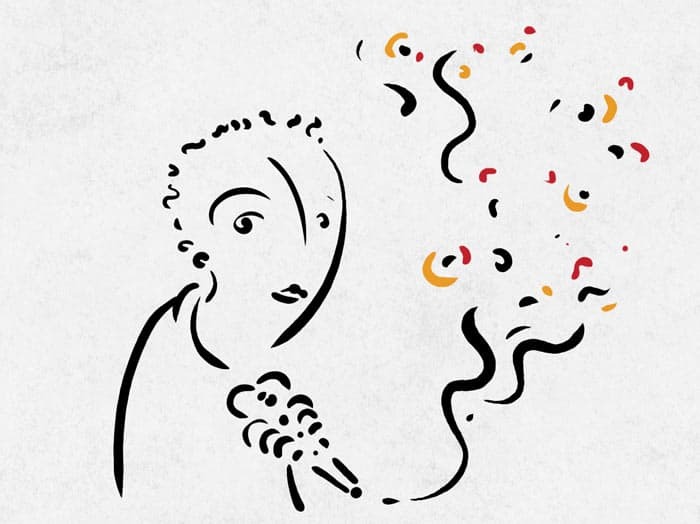 Great for broad gestural drawings, expressionistic sketching, signage and hand painted text.